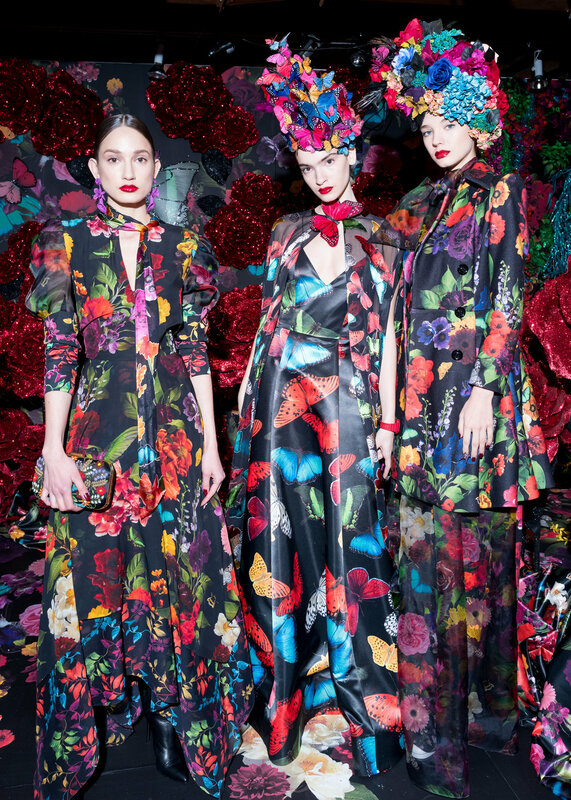 Alice + Olivia’s fall collection, presented recently at New York Fashion Week, was pure magic. The showcase at Gothic-inspired event space Angel Orensanz was inspired by Fantasia, a tale derived from the power of the imagination. Bendet’s goal was to curate a collection that pushed the boundaries of creativity and merged fantasy and reality into one. The space was adorned with life-size dioramas filled with models showing off Bendet’s whimsical new line. These miniature rooms were set on elaborate stages of glitter snow, red roses, and glowing butterflies, with clever details such as sparkling gold mushrooms and snow-flecked trees to set the scene. Additionally, a gold birdcage sat atop a mountain of “snow” with a live model inside exhibiting an ornate beaded mini dress. Classic pants were presented in multiple shapes suitable for both daytime and nighttime, including velvet cargo joggers and wide leg pull up styles. Her take on the ultimate fall suit is a merlot satin straight leg paint with a tailored tonal blazer, a subtle nod to the 90s. 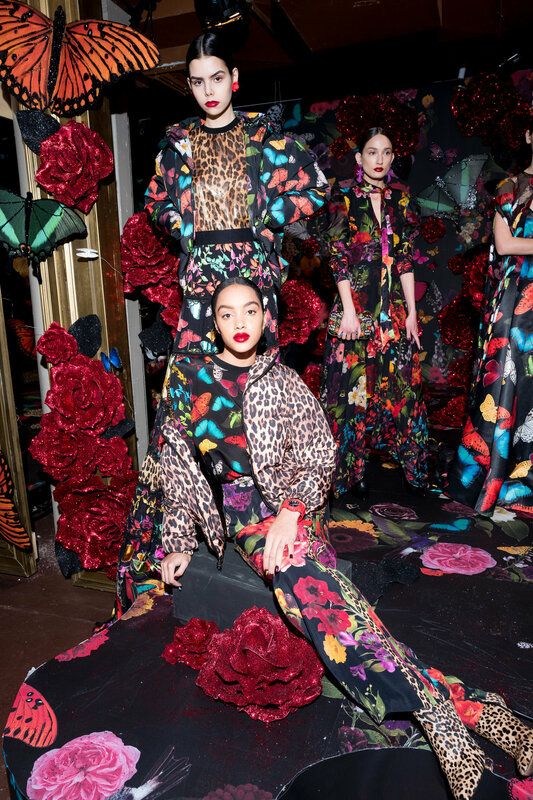 In addition, prints collide in pieces such as a cheetah/zebra hybrid mini dress and a maxi skirt with panels of alternating butterfly and cheetah prints. Celebrity attendees included Victoria Justice, Olivia Culpo, Paris Hilton, Nicky Hilton, Chloe Lukasiak, and Delilah Belle Hamlin, all of whom are regular customers of the brand. Bendet’s newest collection was a breath of fresh air in the midst of a hectic fashion week. Each exquisite design successfully transported onlookers into another realm--one where fashion fantasies really do come true. Behind the Scenes of Indiana Massara's "That Day"